Hard-core gaming enthusiasts, you’re in for a treat this bank holiday weekend. 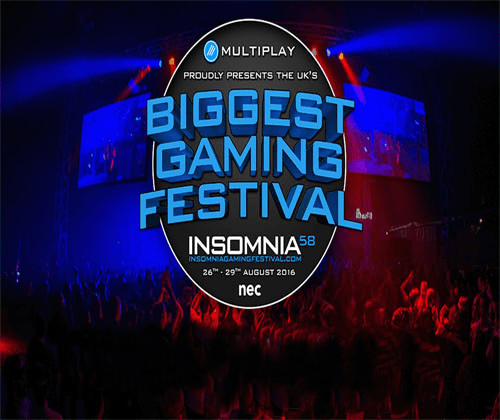 From Friday 26th – Monday 29th of August, Insomnia Gaming Festival is on! If you don’t know what it is, we’re going to tell you all you need to know and you’ll still have time to grab some tickets! It’s the UK’s biggest gaming event and Insomnia are really spoiling you with a bunch of special gaming guests, from YouTube gaming gurus to content creators. Hear what they have to say on interactive stage shows and panels, about gaming, creating and maybe steal a few of their winning tactics and gaming manoeuvres. This is a great opportunity for gamers and aspiring game creators to learn a thing or two from the best in the industry. KING JAE, PHASEGAMES, GIVEMEANAMEX, NAYSAYERZ, GAMEBOYLUKE, BLINKLIZ, KELLYJEAN, MISSELLACRONIN, ASHLEYMAARIE, THEPRENTI, UTORAK, PULPJOHNFICTION, SQUIRREL, PHANTOMSFXTV, JOSHBAKED, DEANABEAN, LTZONDA, NICKBLADE, MINI MATT SMITH, SUZY LU, WAGLINGTON, DAWKO, RAZZBOWSKI, AMYLEE33, THE JMC, TOMOHAWK, SLAEMS LADY, NETTYPLAYS, MINI MUKA, ASHDUBH, LEAGUE FEST GUESTS, THE CREATURES, TROLLZOUS, 8BITGAMING, SEAPEEKAY, REDVACKTOR, UBERDANGER, PWNISHER, FALLFROMGRACE, RECKLESS TORTUGA, MISSESMAE, GASSY MEXICAN, TERRORISER, MINI LADD, VANOSS GAMING, NILESY, CAFF, TURPS, THAT GUY BARNEY, ECKOSOLDIER, BIGBSTATZ, KIM AND MANY MORE. Thriving with hundreds of things to see and visit, the exhibitions are a must see! Play new and upcoming games that haven’t been released yet, browse through exclusive merchandise in the retail zone with exclusive festival and collectors’ items and compete against fellow gamers for free! Partners, gamers and exhibitors will not only be on hosted panels on the main stage but in the exhibition hall too, so let’s see if you’re good enough to take on world acclaimed gamers and outdo the creators! With exhibitors, publishers and retailers such as Custom Controllers, GAME, XBOX ONE, EA Games and GT Omega Racing, gaming fanatics are in for an amazing experience. Dare to go up against your fellow gamers? Think you can do it? Find out by entering a tournament and see if you can win cash prizes of up to £30,000! The fun doesn’t stop when the sun goes down. After a day of gaming, exploration and fun, pop into the 24 hours LAN areas for more activities like the World Famous Pub Quiz. Minecraft enthusiast? You’ll feel right at home in the Minecraft Zone! Yes, you heard right, an entire zone for dedicated gamers who love the Minecraft! We’re sure some ComicCon goers are bound to be going to Insomnia, and if you’re not, it’s worth checking out. It wouldn’t be a festival without some form of dress up right? Music festivals have people in glitter and ripped denim, ComicCon has you decked out in your favourite superhero costume, and Insomnia Fest is no different. Dress up as your favourite gaming character! It’s a great way to meet fellow gamers that enjoy the same games you do and it’s a bunch of fun. Be thrown back to the past with Retro Zone. Partners of the festival Retro GT have provided tonnes of old school gaming for you to try out. Take a walk through gaming history, try them out and purchase them. It’s a one of a kind experience and chance as most of these items are difficult (next to impossible) to come by. Managed by GameQuest, the Tabletop Zone is an area to purchase and try out cards, boards and games with your fellow gamers on a set-up table. With loads of space and demos to try out, brush up on your gaming skills and have some fun with your friends. Determined to go? Grab your tickets soon before they sell out. It’s the UK’s biggest gaming event, don’t miss out! For more info or to purchase tickets, check out the Insomnia Gaming Festival site. 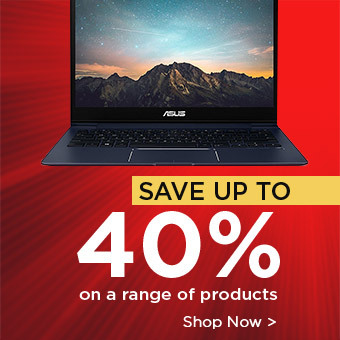 For more technology related news, as well as top picks and helpful reviews make sure to keep an eye out on our blog.